MindView is a professional mind mapping software that allows you to visually brainstorm, organize and present ideas. Known for its award winning MS Office integration this mind mapping software lets you be more productive, turning ideas into action faster than ever before! 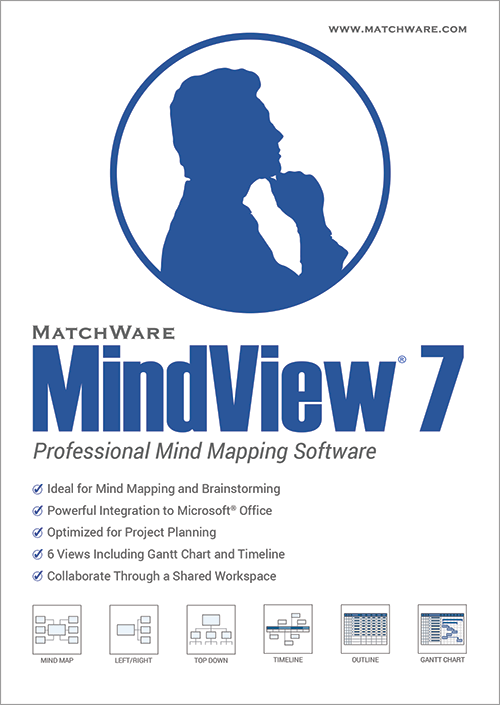 With 6 interchangeable views, unique project management features and powerful collaboration options; MindView has become the industry leader in mind mapping software. Use MindView to: - Visualize ideas and concepts - Turn brainstorming sessions into action plans - Run meetings more effectively - Create Work Breakdown Structures, Gantt chart and timelines - Collaborate better with team member and clients - Outline reports, RFP's, Knowledge Management, strategies and marketing plans etc. Copyright @ 2013 - 2019 Download100.net All rights reserved.